Spring Valley Club is a 160-unit Class-B suburban apartment community located in the Panhandle of north Florida in Panama City. The property’s location is considered irreplaceable with excellent access to major thoroughfares, employment centers, retail destinations, educational centers and recreational amenities. Gulf Coast Regional Medical Center and the Panama City Mall are both within minutes of the site. Property features include clubhouse, fitness center, business center, swimming pool, spa/sauna, and controlled building access. Spring Valley Club was developed in 1987 and consists of 160 apartment homes ranging from 700 square foot one-bedrooms to 1200 square foot three- bedroom three bath floorplans. 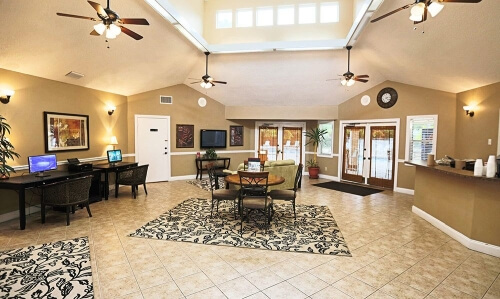 Individual residence features include: microwave oven, refrigerator, stove and cooktop, washer/dryer connection, faux-wood flooring, ceiling fans, and walk-in closets. An extensive property enhancement program will begin immediately after closing and will focus on upgrades and expansion of the community amenity package, exterior curb appeal, and interior unit enhancements.